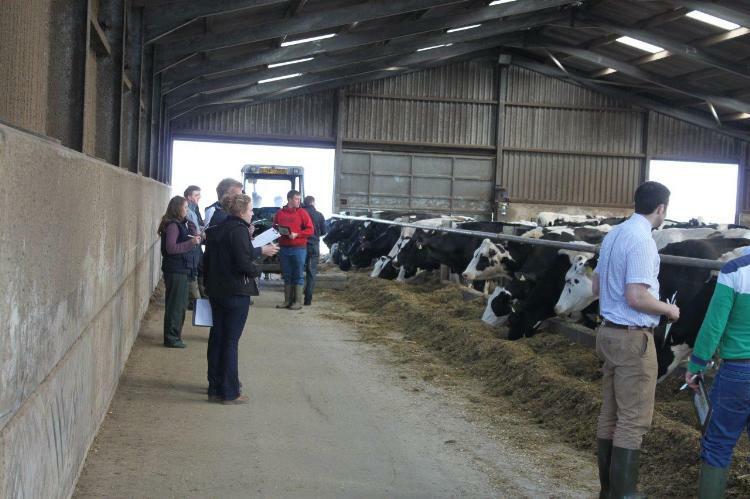 A new workshop to understand the common signals cows make is being targeted at young farmers. The free workshops, organised by NWF Agriculture, are aimed at educating the dairy and beef farmers of the future. Trainers host a one-hour classroom session, followed by a visit to a farm to see the cow signals in action. NWF usually delivers the workshops to customers but have developed a bespoke session to appeal to a younger audience. Carl Ellis and Ben Thornley from NWF help to deliver the courses and are also members of Ashover and Ashbourne YFC in Derbyshire. 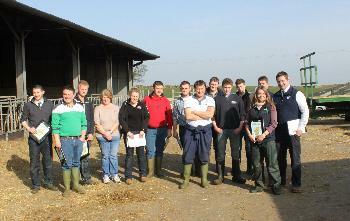 Members of Derbyshire FYFC were invited to attend the first session and picked up some top tips. Jack Dakin, Ashover YFC, works on his family dairy farm and said he learnt a lot from the course. “It was good being able to look around other farms to see what they do as you learn a lot this way. I didn’t realise how the layout of the shed can affect how much milk the cow produces. “I’d definitely recommend the course to other YFC members. It was a fantastic day out and you pick up a lot of advice,” said Jack. If you or your Club would like to take part in a Cow Signals workshop with NWF Agriculture, contact Rachel Lander on 07829 797191 or email Rachel.Lander@nwfagriculture.co.uk for more information.